Alcoa of Australia has supported Greening Australia in partnership since 1982, making this the longest community – business partnership in Australia, achieving significant environmental on-ground outcomes. Greening Australia and Alcoa of Australia have extended one of Australia’s most successful corporate and environmental partnerships to a record 34 years by committing to plant over one million trees, shrubs and understorey plants over the next three years. Together through the one million trees partnership we will achieve a legacy for future generations – the preservation and enhancement of unique environments in the Peel BioLink and Habitat 141. The project will involve more than one thousand community members and landowners, captures thousands of tonnes of CO2 and restore degraded habitats. 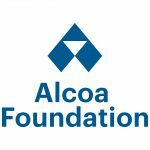 Greening Australia is grateful for the long-term support and partnership with Alcoa of Australia. Importantly though, in all good partnerships, the benefits are mutual. Alcoa employees are fully engaged in the partnership, working alongside their community, and Greening Australia staff in two nationally significant landscapes. The South West region of Western Australia is identified as one of the world’s 34 biodiversity hotspots, internationally recognised for the richness and diversity of its native flora and fauna. The Peel Biolink reconnects the Darling Scarp to the Ramsar Listed Peel Estuary system through restoration of key ecological assets and biodiversity corridors within the Peel Catchment area. This landscape-scale corridor project is within close proximity to Alcoa’s mining and alumina refining operations. In Victoria, the One Million Trees program supports Habitat 141 to link national parks from the outback to the ocean and is one of the largest environmental restoration projects ever undertaken in Victoria. Work on the One Million Trees program is now underway and we look forward to Government, other business and individuals standing alongside Alcoa to help expand the critical work of restoring Australia’s unique landscapes so that people and wildlife can co-exist and thrive. Not only is it important to think and care about the environment, we actually need to do something, which is what the partnership with Greening Australia is all about.